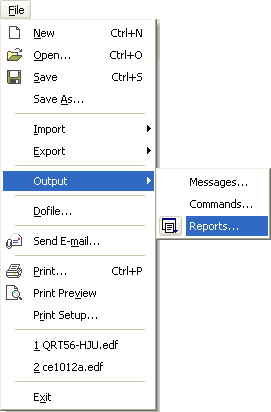 All reported objects listed in the output toolbar can directly be exported to an Excel spreadsheet editor. Thereby it is possible to extract almost any data properties to be manipulated and use in other applications. The save type filter in the save dialog enables other output formats like text or HTML files. 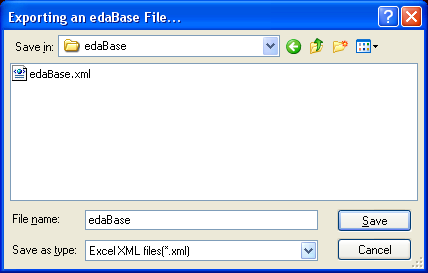 When saving the output toolbar data to a file, the associated application e.g. Excel will afterwards automatically be launched.